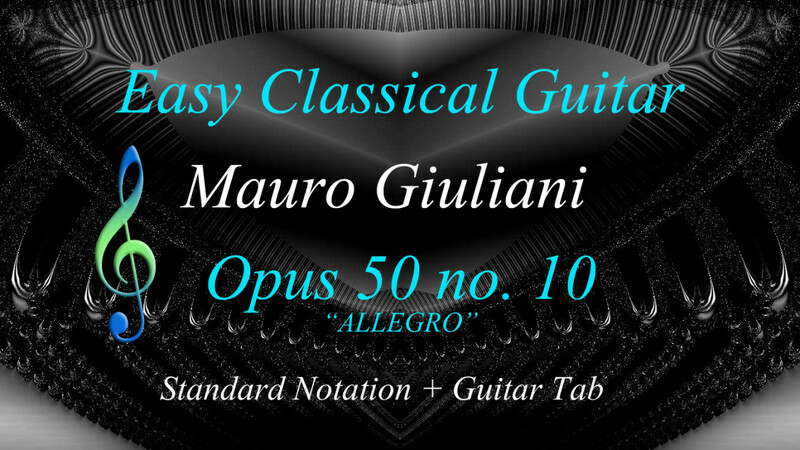 This is a short and easy classical guitar piece by Mauro Giuliani, one of Italy's most famous classical guitarists and composers of guitar music of the 19th century. The score below can be enlarged in the HubPages Gallery by clicking on any part of the tab or notation, so you can see each line individually. If you want to hear how it sounds, open the video and listen to a software-generated MIDI to Audio version. The score is also displayed line by line in the video in time with the music. Here's the audio track. As it's a software-generated track, there's no phrasing or musical interpretation involved. It's just to give you an idea of how it should sound. It's up to you to interpret it as you feel it should be played. That could involve rising and falling dynamics, (softs and louds) vibrato, pausing slightly between phrases, etc. - In other words, make it musical, not mechanical. 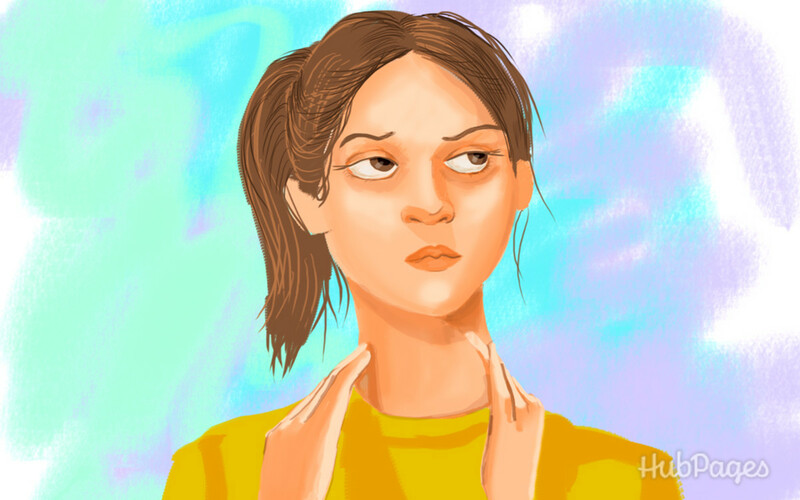 Tactile feedback - You always know where your fingers are. Not so useful in arpeggio playing as it mutes strings that are still sounding. The time signature of 24 ("two-four") means there are two beats per bar, and each beat is worth a quarter note. Count the four 8th notes that most bars have as 1 & 2 &. Fingers are shown as 1-2-3-4 in several places throughout the score. 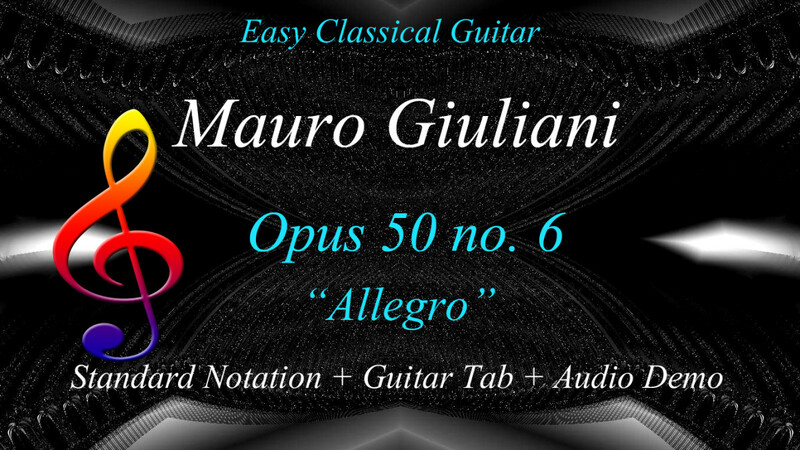 The whole piece is written in the second position apart from the final chord where it moves up to the seventh position. 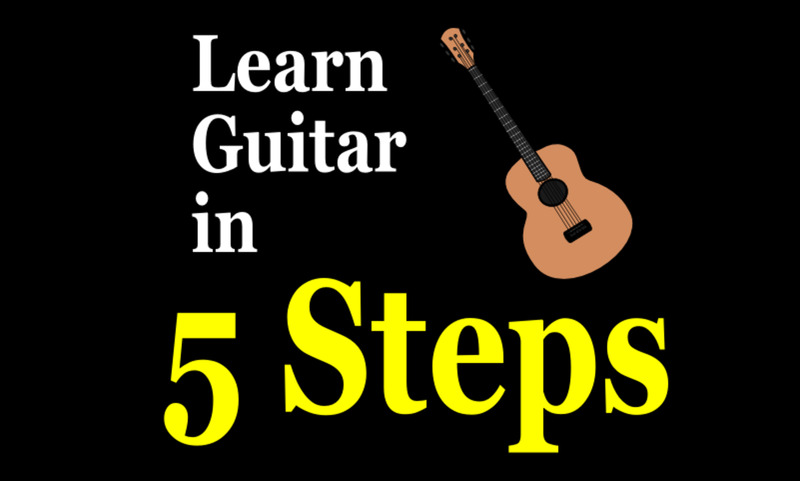 So your first finger won't be far from the second fret for most of the piece and you won't need to reach further than the fifth fret on the first string to play the high A notes. Finger numbers are shown as suggestions, you can change it to suit yourself. Use 'rest stroke' to play the melody wherever it's practical to do so. Rest stroke involves plucking the string and following through to bring your finger to rest on the string above. It's a more forceful stroke so it makes the melody stand clear of the bassline underneath. It can also produce a sweeter tone on nylon strings. 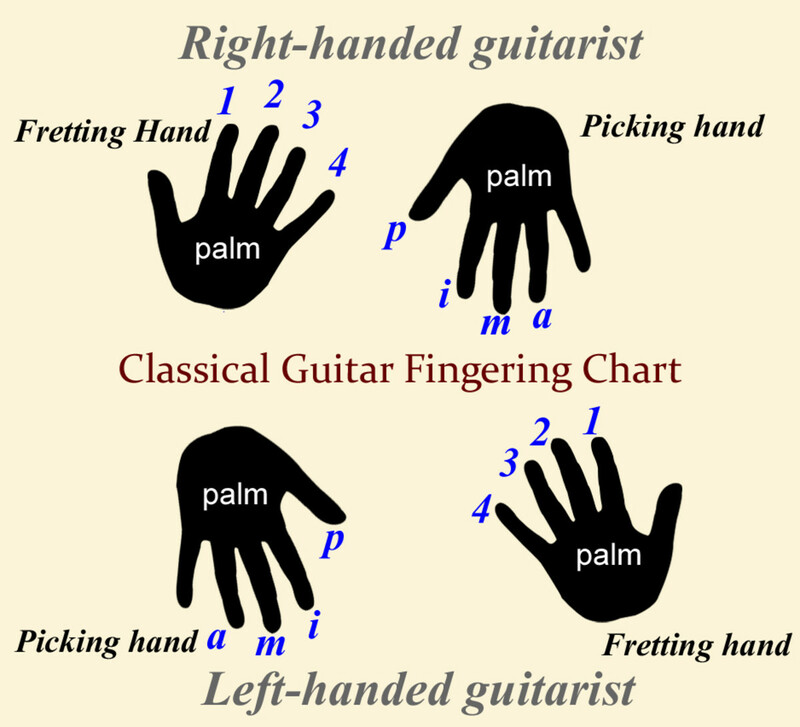 As with the fretting hand, the finger designations for the picking hand (p-i-m-a) are shown just as a suggestion. Do it your way, but ideally you should always alternate picking hand fingers for notes of melodies, including successive notes on the same string. The notes in bars 4, 8 and 12 with legato marks (slurs) are best played as a slide with the same finger rather than hammer-ons. Hammer-ons will work just as well but will put your hand into first position of the fretboard rather than second position where most of the piece is played. The bass is very simple as the bass notes are all on open strings, but you should only let them ring out for half a bar as the notation shows. That means you should mute it with your (picking-hand) thumb on beat two. There are no B minor chords anywhere in the music. There are plenty of D major chords. The last chord is D major. The chords used are mostly implied rather than stated in full (apart from the last two). That's because there are only two parts: melody and bass. The chords are formed by the bass note and melody notes throughout each bar. 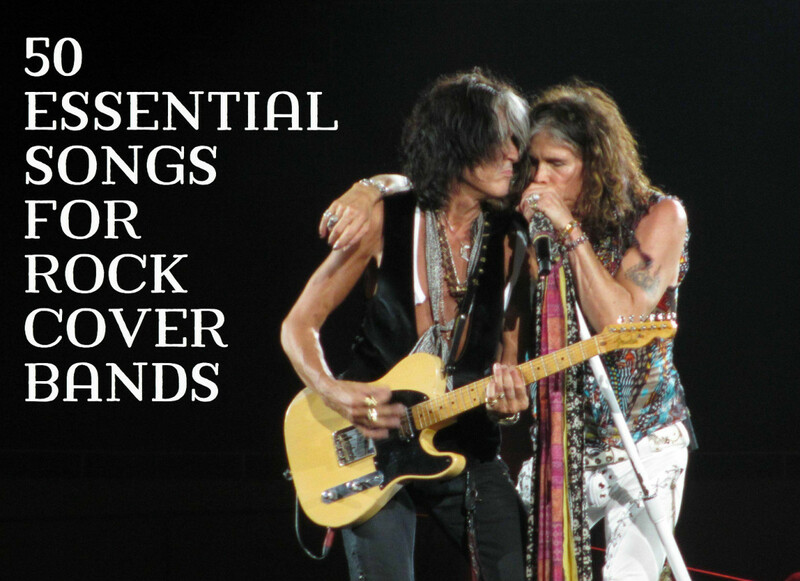 They're exactly the chords you'd expect in the key of D major, namely, the tonic or 'home' chord, D major (notes D, F# A) and the dominant (heading home) chord A major (A, C#, E) often extended to A7 (A, C#, E, G). There's also a brief appearance of E7 (E, G,# B, D) in bar 7 leading into bar 8 where the G# leans into the A major chord that ends the phrase. Etude in A Minor - by Dionisio Aguado. This is a simple piece but quite impressive sounding if you get the tempo up enough. 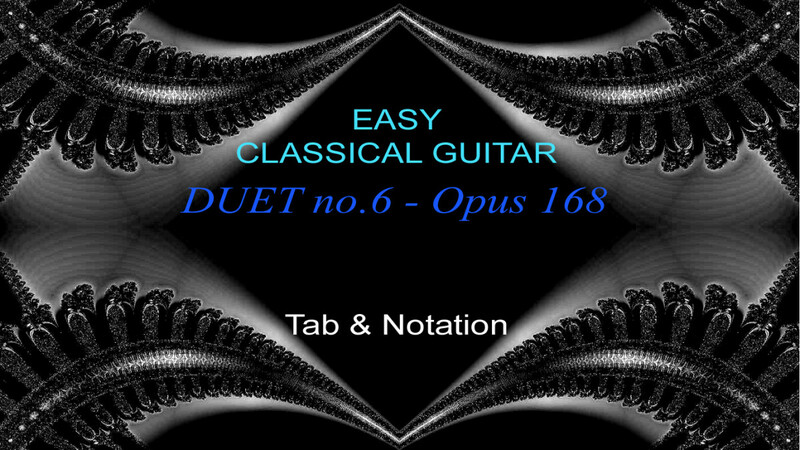 Duet by J. Kuffner - You can play along with another guitarist or with either of the two parts in the audio track. Each part is on its own left or right stereo track. Lady Laiton's Almain by John Dowland - This is a lute composition from Elizabethan England transcribed for guitar. It's more challenging than the other two and is around intermediate level of difficulty. 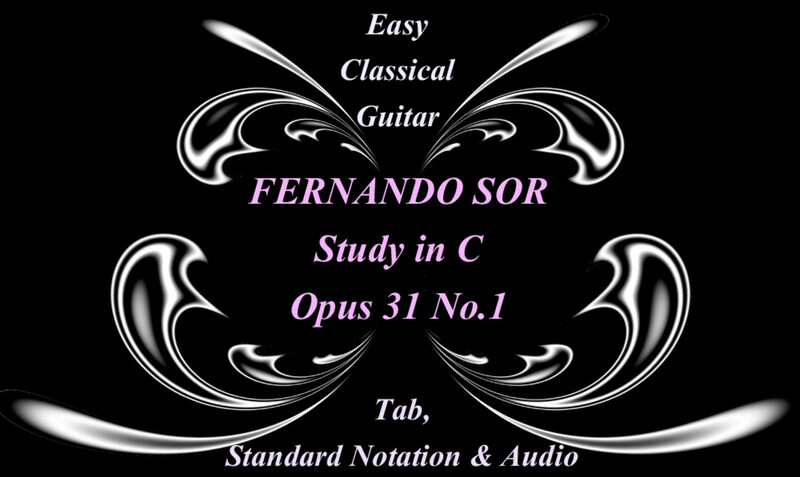 You can also find a lot more easy classical guitar pieces as well as folk fingerstyle arrangements by clicking through the "next" or "previous" links below. Alternatively, you can see them all listed on my HubPages Profile. There's plenty to choose from. 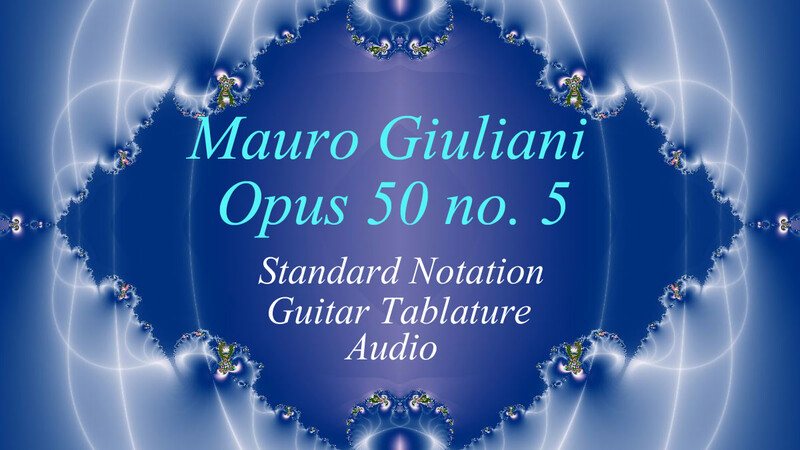 The music featured in this Hub is composed by Mauro Giuliani (1781-1829) and is in the Public Domain. The score, audio track and images are by chasmac.